This free printable sight word book introduces the following three sight words: “I”, “see” and “a”. 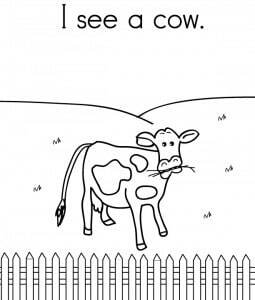 Using simple sentences, repetitive text, and familiar objects (farm animals), we created a free printable sight word book that is ideal for a child developing a sight word vocabulary. 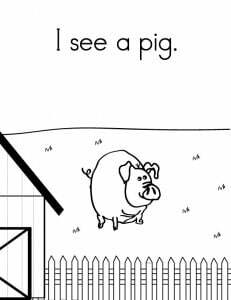 As you read this book, encourage your child to point to each word (trace the sentence with a finger). If your child is interested, read the book again. We designed this book to print in black and white; similar to a coloring book. After you read the book, encourage your child to color each picture. We also included a fun activity – find the hidden sight words – to reinforce automatic recognition of these words. We selected the following high frequency words: I, see & a. These words are included on both Dolch and Fry’s sight word list; they are commonly found in printed material. In addition, these three words are also among the most common words used by a primary student (kindergarten through 2nd grade). 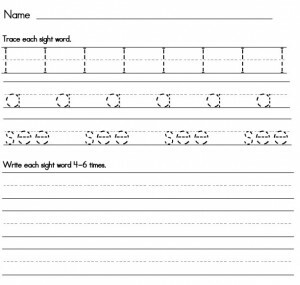 Click here to obtain the above sight word worksheet (PDF file) to help a child practice writing these high frequency words. Do you know the name of this animal? We developed this book so that the print appears in the same place on each page and the illustrations support the text. Our free sight word books are perfect for an early emergent reader, a child who is just beginning to read. We also created a fun worksheet containing a matching game. 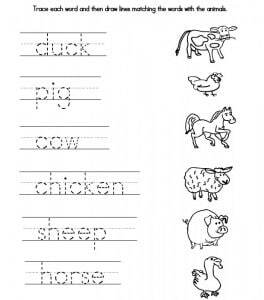 It also offers sentence strip with each animals name in dotted lines so your child can enhance their writing skills. 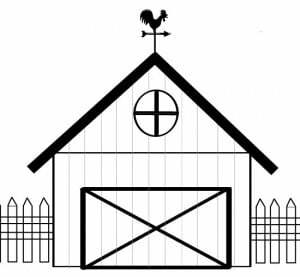 Click here to obtain a PDF file of the farm animal worksheet. Thanks so much for this! I’m printing it now to work with my 4.5 year old. Thank you for sharing these worksheets! I love them and it will help me teach my grandsons. Thank you so much for helping us with this worsheets for our students!! I admire and appreciate your contributions passion to support children’s’ learning.